Mobility solutions drive innovation, deliver top benefits for supply chain professionals. Improving the customer experience has been a motivating driver for innovation across several industries, and the supply chain is no exception. Over the last decade, the retail industry in particular has undergone a massive transition with the rise of e-commerce. Online shopping continues to gain popularity at an exponential rate; consumers aren’t as dependent on physical storefronts when making their purchases. As the digital world continues to be center-stage and e-commerce giants offer delivery experiences like Amazon Prime, consumer demands have only skyrocketed. To put this into perspective, let’s take a look at retail’s behemoth, Amazon. Since its launch in 1995, the company’s guiding principal has been to be the Earth’s most customer-centric company, raising the standards for customers to not only receive their goods in an expedited timeframe, but to do it with little to no shipping cost. And with peak demand stimulated by Amazon’s Prime Day, vendors and third-party resellers must plan for this 36-hour shopping frenzy months in advance. While this allows businesses to capitalize on the momentum, it also demands that they step up their tools to allows supply chain managers to work smarter and more efficiently from the first mile all the way to the last. 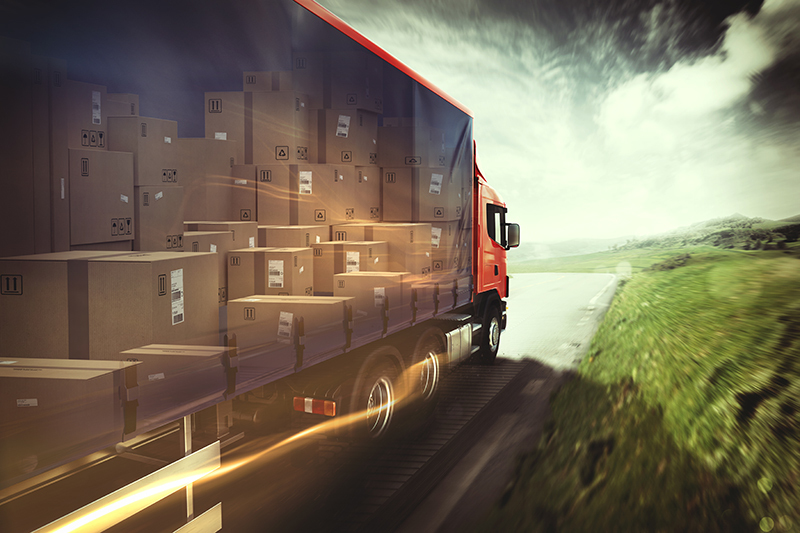 In fact, as competition to deliver on these expectations continues to rise among vendors and logistics companies, supply chain leaders are placing more emphasis on improving the last mile of delivery in particular. The final mile is the point where an organization’s customer experience is tested, and also where 28 percent of the delivery cost is attributed, adding up to over US$85 billion globally. As a result, the creation of new tools to improve speed and accuracy and expand parcel volume is critically important. To address these shifts in the supply chain and help suppliers keep up with peak demand periods, businesses must implement modern, advanced transportation technologies to remain competitive in the marketplace. As it turns out, the solution to leveraging the last mile as the supply chain grows more global and complex is right within reach – literally. Almost every industry and aspect of society is becoming increasingly mobilized, and the supply chain is no different. Mobile platforms have the potential to enhance user efficiencies and the customer experience, all while helping to streamline daily processes and manage shipping spikes across multiple sectors. In order to keep up with such a dynamic business, supply chain managers are wise to consider a mobile solution in the hands of carriers and drivers that is flexible, easy-to-deploy, and manages the last-mile delivery experience with real-time updates for all stakeholders. For instance, a mobile platform can deliver automated real-time track and trace and last-mile routing, allowing shipment and driver information to be shared with partners up and down the supply chain. This kind of visibility allows sellers to closely monitor shipments and respond to customer issues and opportunities immediately, ultimately improving the customer experience. Additionally, a mobility solution empowers end-customers through this immediate tracking and improved visibility. Customers can easily monitor their expected goods, receive proactive alerts, and redirect their delivery. These options let customers have a stake in the last mile and allow them to tailor the experience to fit changing needs. In addition to improved visibility, a flexible mobility solution can help shippers and carriers keep up with the expedited timeframe for delivery of goods and improve costs while doing so. Speed and accuracy have become vital components to meeting the short delivery window expected by customers. Shippers and carriers benefit from solutions that will improve their processes and allow them to deliver goods at competitive speeds. Mobile capabilities can help drivers achieve this by improving ETA through route optimization, moving products faster through the warehouse with active messaging, and replacing manual, labor-intensive tracking processes. This ultimately allows consumers to receive their goods faster, with the most efficient shipping cost. In summary, mobility is a key driver of supply chain innovation that supply chain professionals see delivering among the greatest benefits over the next five years. * As e-commerce continues to evolve, being able to move quickly and more efficiently while increasing visibility is the key to not only staying competitive today, but preparing for the changes yet to come. Doug Surrett has been in the logistics industry since 1988. He currently serves as Chief Product Strategist for BluJay Solutions, where he oversees the company’s product convergence and expansion strategy. Previously, Doug served as Vice President, Global Logistics for MercuryGate, and Vice President of TMS Consulting for RedPrairie. Before joining RedPrairie, he worked at UPS in Operations, IT, and Customer Automation. He has also owned his own consulting practice focused on TMS, Global Trade, and WMS software systems.